Your average all-purpose or jogging stroller tends to be larger and more cumbersome than necessary for a quick trip away or for getting around town when you’re not in the car. Luckily, umbrella strollers are here to fill that portability niche. Whether you are are looking for something simple for your relatives to use when they babysit, or are planning to hop on a plane for a vacation, the compact design of umbrella strollers makes them a much-needed item for all parents. While you won’t find a lot of bells and whistles on these strollers, they will go a long way in making your life easier. The average umbrella stroller should be compact, easy to carry, and easy to fold. Let’s see how these products stack up to expectations. This umbrella stroller has the coveted feature of being able to stand on its own once folded. It also has a shoulder strap, so you can wear it instead of carrying it, and mesh seats to allow air flow. Although it can be harder to push than other models and you can’t peek in on your child as you are walking, it is easy to fold and unfold, and the breaks are sandal-friendly. The storage leaves something to be desired in terms of easy accessibility, but offers a decent amount of space for day trips. This is another model that can stand on its own after being folded, although the actual folding is trickier than on other models. The brakes are sandal-friendly but do require a little more pressure to be engaged, so be sure to check that the wheels are locked every time you use them. The seats are made of breathable material, and the stroller offers 10 lbs worth of storage in its bin. The canopy doesn’t offer a peek-a-boo window but is large enough to provide good coverage and is easy to use. This is a good stroller if you are on the tall side, as the handle bars come up to 42 inches. If you know you are going to be loaded down with other luggage as you push your baby to an airplane or another mode of transportation, a lightweight stroller is essential. Although this model won’t stand on its own after being folded, getting it into that folded position is easy and the stroller features a self-lock. It has four-wheel suspension, a machine-washable seat, and a window on the canopy so you can check on your baby as you walk. 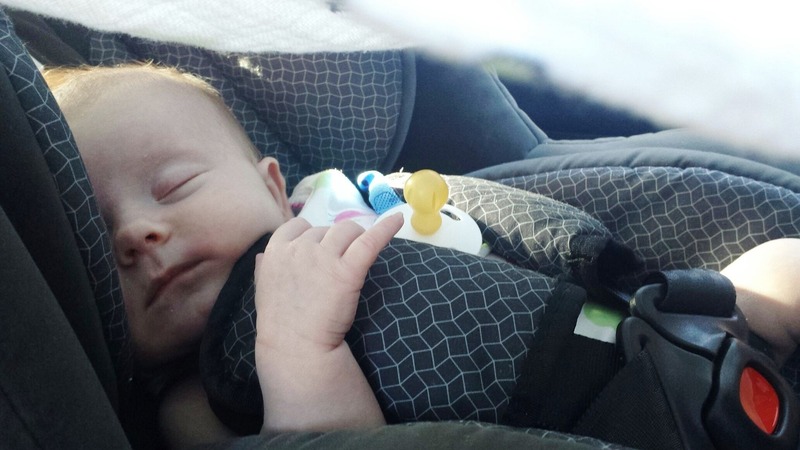 The seat doesn’t recline, so it is not ideal if your baby likes to nap on the go, but it is one of the lightest models on the market and it’s easy to sling over your shoulder if need be. Although this stroller lacks a shoulder strap for easy carrying, it earns some points back for being a lightweight travel stroller with a reclinable seat. You can fold it up with one hand and it self-locks. The canopy offers superior protection and includes a peek-a-boo window. Although there is discrepancy among parents as to how easy this product is to maneuver, with some finding it difficult and others finding it excellent, the harness is met with universal acclaim for its ease of use. 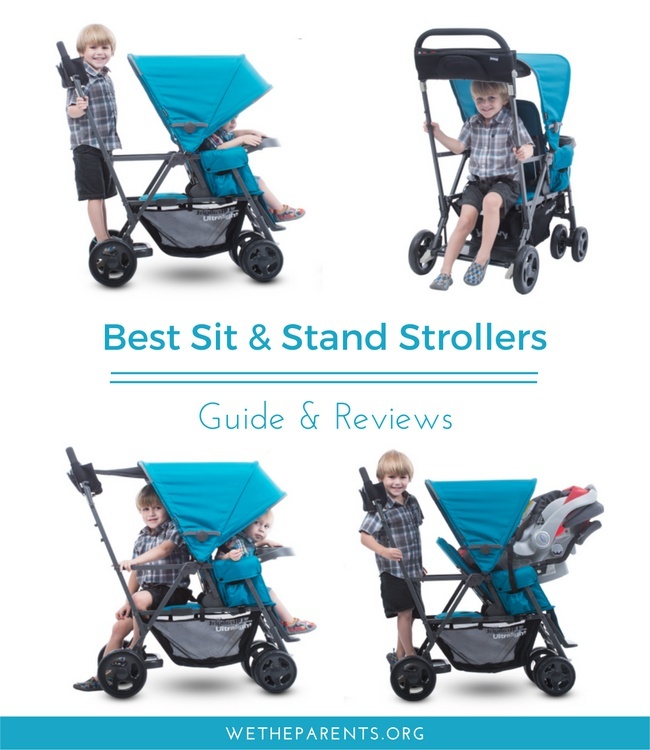 For a complete guide on double strollers, feel free to head over and check out our main article. In the meantime, here’s a stroller that will provide transportation for your little ones whilst not breaking your back. An Amazon #1 Best Seller in tandem strollers, this product is affordable and has a large protective canopy. It fits through doors that are the standard 30 inches wide, and has shock absorbing front wheels. The seats do recline, but only slightly and the break is not sandal-friendly. Folding and unfolding this product is simple so, even though it is a double stroller, it travels easily. Since these products don’t tend to have handle bars you can adjust, it can be tricky finding a good fit if you are on the taller side. Here is a product that, with any luck, you will find appealing. This 100% polyester stroller has handlebars that reach 42.9″, which is about as tall as you’re going to find for an umbrella stroller. Although it lacks in storage space, the seats do recline and it is easy to maneuver. Very comfortable for babies with its soft, padded, multi position seat and adjustable backrest. It is a bit heavier than some other umbrella strollers but provides a comfortable ride for your baby. Luckily, this type of stroller is the least expensive of all the specialty stroller models. For those looking to stick to a strict budget though, there are a few products that will make that wallet even happier. If you are looking for something that is affordable, but still comes with enough perks to make it worth your while, this stroller might just be a winner. Aside from its very reasonable price, it is an Amazon #1 Best Seller in the baby strollers category. 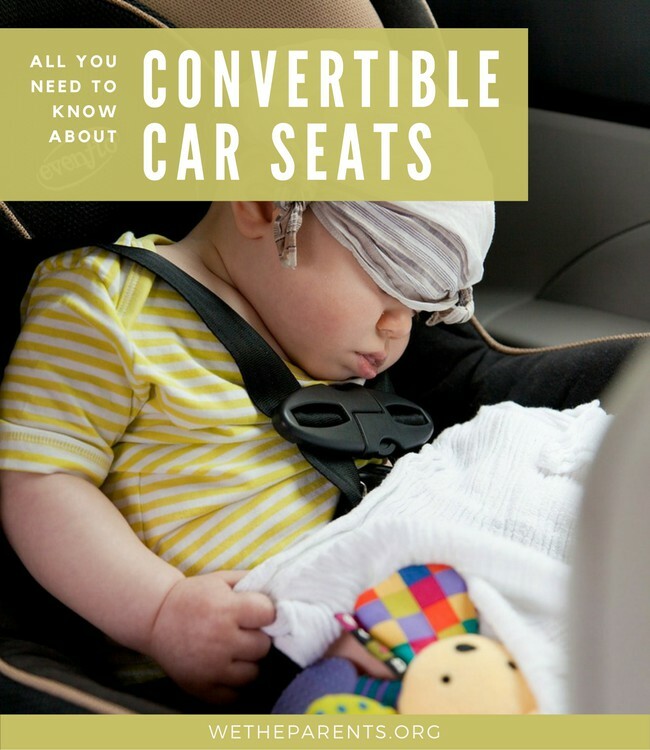 The harness adjusts to different heights, and the seat reclines so that your little one can nap if needed. It isn’t the easiest umbrella stroller to maneuver, but you will have to expect trade-offs for a price like this. It also offers adequate storage space and is easy to fold and unfold. Available in a few colors, this stroller only has a 3-point harness. Because of this, as well as its overall design, it’s recommended to use this stroller only if your baby is older, around the 11 or 12-month mark. It doesn’t have a canopy so it really is a stroller designed for indoors or quick errands. That said, it’s super lightweight and very easy to fold and unfold. If you’re looking for something to have handy in the car or to get through the airport rush with, you certainly can’t beat the price. Just because they are small doesn’t mean you don’t have to know what you are looking for before you a buy an umbrella stroller. While you might not encounter any super cutting edge innovations, you still want to make sure your chosen product is right for you and your family. Simply put, this is a type of stroller that folds up like an umbrella, although some models fold up in halves or thirds. As we mentioned before, you won’t find too many types that offer anything above basic features, but they can certainly make travelling less stressful for you. Alas, umbrella strollers won’t provide the same amount of protection as their all-purpose cousins. 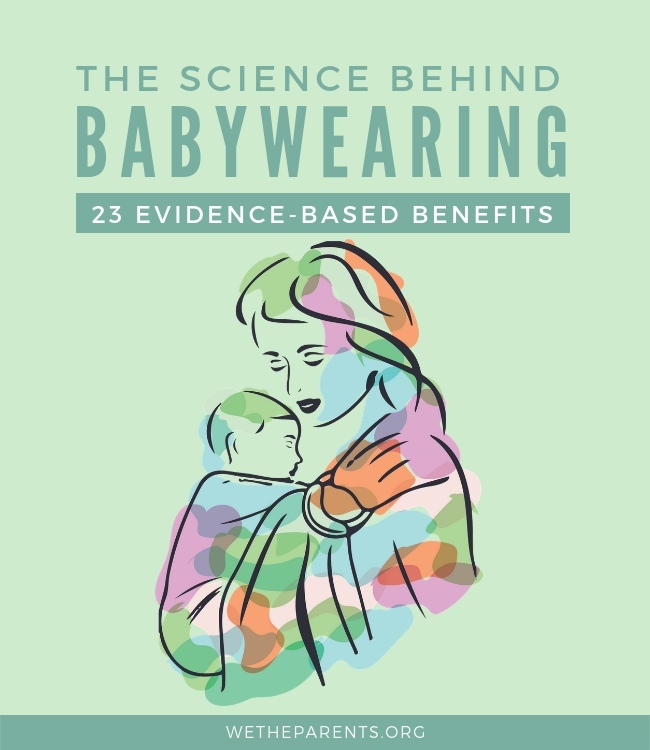 Because they don’t offer high levels of support, they are best suited for babies over six months. By this age, most little ones can sit up on their own and have enough head and neck control to ride safely in this particular type of stroller. As with other strollers, wheels matter a lot. Some umbrella strollers offer a dual front wheel (two wheels, side by side on each front leg) and the wheels used on umbrella strollers tend to be smaller and made of materials designed for use on sidewalks rather than on rough terrain. Polyurethane Tires: A sort of marriage between plastic and rubber, these tires are relatively durable if slightly heavier than plastic. Plastic: These tires are lightweight, and there is no risk of flats, but they are not really made for anything other than smooth surfaces. Since umbrella strollers are all about being compact, the handlebars tend not to be adjustable. As such, be sure that whoever will be using the stroller can comfortably and safely push the chosen model. We understand that getting around with a baby or small kids is no easy task. Bet it used to take five minutes to get out the door but now it takes 50, right? Let’s face it, getting anywhere on time requires military-style logistics. Don’t despair! With a bit of know-how and the right gear, it gets a lot easier. While they might not be the Mercedes of strollers, they are certainly a very reliable way to get your family from point A to point B. Besides, who wants to lug around a fully loaded, bulky stroller when really, you just need to get through the subway station or pick up something at the grocery store? Considering that the prices range from the expensive to the very affordable, it can’t hurt to have an umbrella stroller in your home. Even if you are a new mom who balks at the idea of leaving the house without an arsenal of baby products, including that fully loaded stroller, trust us; that feeling will pass as soon as you need to make a quick trip with your baby in tow. And when it does, you will be delighted to quickly unfold that little umbrella stroller and be on your way.